The fun-to-drive Mazda CX-5 receives minimal updates this year, reemerging with many of the same components available on the 2014 model. The small crossover SUV continues to feature excellent fuel-efficient engine options, a spacious cabin, outstanding styling and first-class seating. For the new model year, the 2015 Mazda CX-5 is virtually unchanged; however, it does receive one new standard feature on the Touring and Grand Touring models. 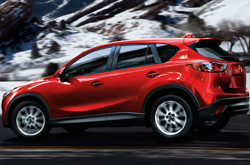 To learn about the fresh addition, keep reading our 2015 Mazda CX-5 review, which features more information. As one of the most highly praised small crossovers in its class, the Mazda CX-5 returns for 2015 with almost no modifications. The only upgrade made to the model this year is the addition of standard keyless entry and ignition on Touring and Grand Touring trims. Aside from this update, the 2015 Mazda CX-5 in Houston makes its way back onto the market with several high-end features, including a rearview camera, six-speaker sound system, heated front seats, satellite radio, SMS text message reading and Bluetooth hands-free calling. The model also comes with great safety features, such as blind-spot warning and stability control, which help provide top-notch security.A 2.0L four-cylinder engine comes equipped on all front-wheel drive Mazda CX-5 Sport models this year. Delivering 155 horsepower and 150 lb.-ft. of torque, that engine can be matched with either a six-speed manual or six-speed automatic transmission. On the all-wheel drive 2015 Mazda CX-5 in Houston, a 2.5L engine, generating 184 horsepower and 184 lb.-ft. of torque, can be found underneath the hood. It comes standard with a six-speed automatic transmission and can produce an EPA-estimated 27 mpg combined. If you'd like to learn more about the current Mazda CX-5, continue browsing our 2015 Mazda CX-5 review below for additional details, engine spec information and exclusive pics. 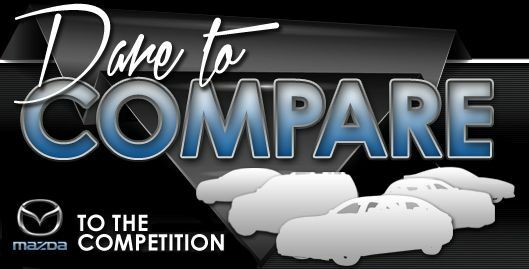 We have the courage to ask you to compare the latest Mazda CX-5 model against class rivals like the 2015 Volkswagen Tiguan, Toyota RAV4 and the Chevrolet Equinox. That's how confident we are that it's perfect for you. 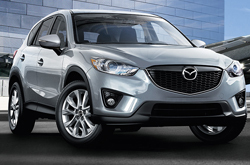 With cutting-edge cabin features and an splendid design, shoppers will love the Mazda CX-5. For Houston Mazda customers who want a truly outstanding value, just compare this vehicle's price to the vehicles in its segment and you'll see that it's a solid investment. Check out our Quick List below for more details about its vehicle specs! 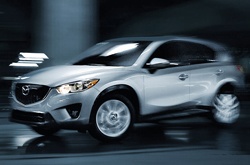 Thank you for selecting Joe Myers Mazda as your source for 2015 Mazda CX-5 reviews. We take our obligation to provide the best reviews drafted by automotive experts - it's just one more thing that makes us a reputable Mazda franchise in Houston. Everything perspective car buyers need to make sound decisions is right here, including info regarding fuel economy and other specs. Each summary is crammed with helpful facts and specs - all at your fingertips. Please visit our Mazda review and compare archive if you feel the Mazda CX-5 is not suitable for you; there you'll learn about Joe Myers Mazda's entire lineup.